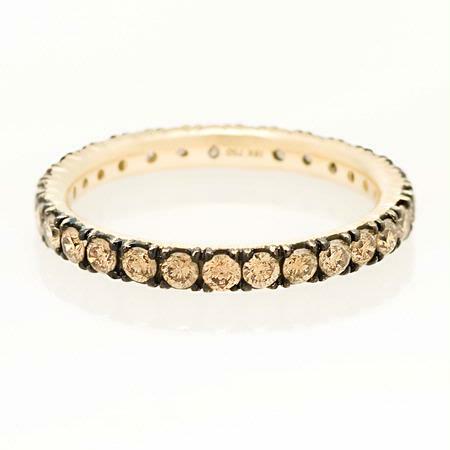 Diamond Details: 140 Round cut brown diamonds, excellent cut and brilliance, weighing 1.01 carats total. 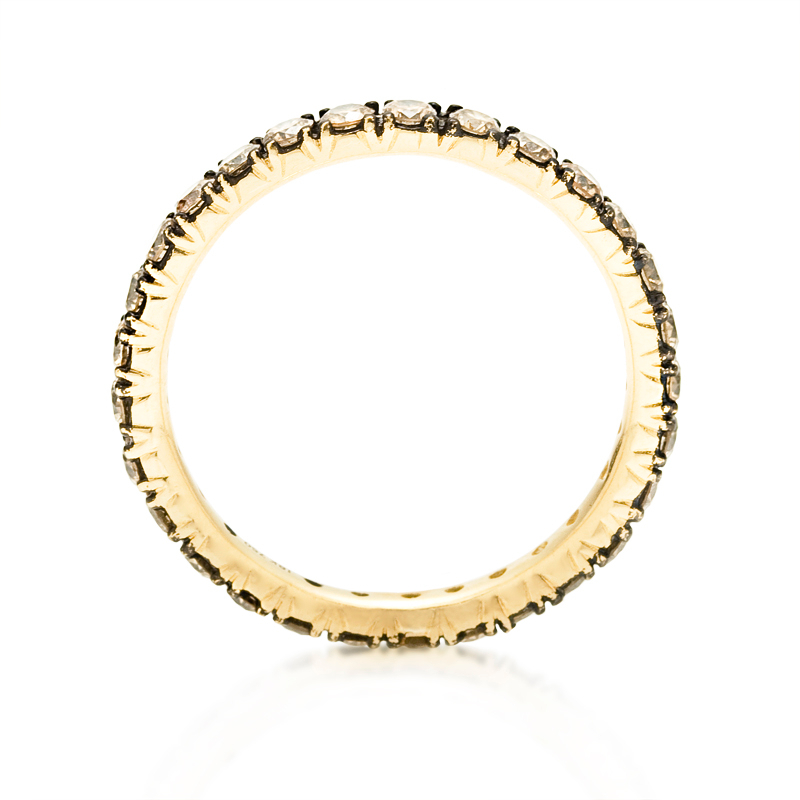 Ring Details: 18k yellow gold and black rhodium. Measurements: Size 4.75 and 2.5mm wide. The ring can also be ordered to size and will take approximately 3-4 weeks to deliver. 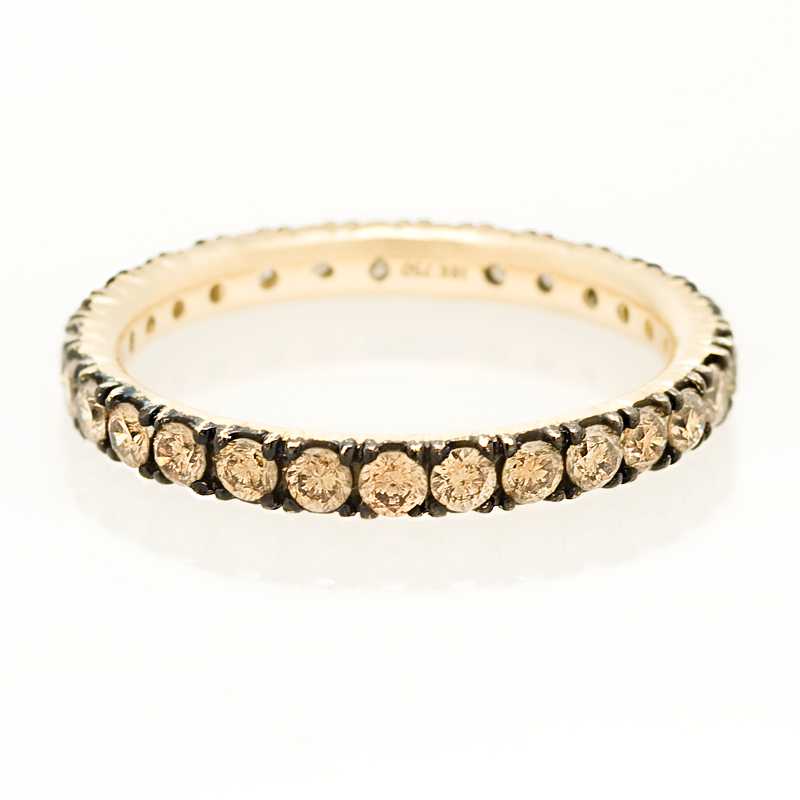 This stylish 18k yellow gold eternity wedding band ring features 29 round cut brown diamonds, of excellent cut and brilliance, weighing 1.01 carats total, surrounded by black rhodium along the prongs. The ring is a size 4.75 and is 2.5mm wide.